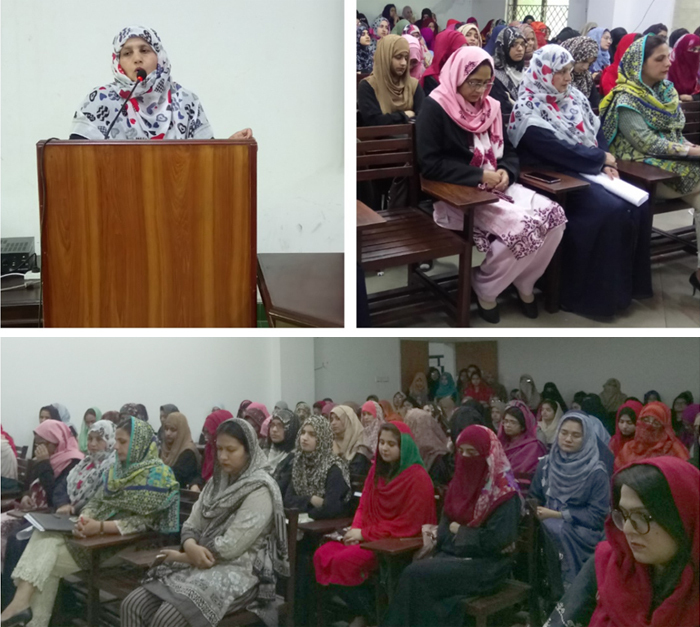 Department of Microbiology and Molecular Genetics celebrated International Women’s Day; a day to celebrate womanhood, on 18th of March, 2019. Guest speaker for this event was Dr. Fatima Gul an eminent scholar and influential speaker. The event was organized by Dr. Zakia Latif. The agenda of this day was to highlight place of women in Islam. The program commenced with the recitation of Holy Quran followed by Naat-e-Rasool-e-Maqbool in the soft and pleasing voice. Faculty member, Ms. Hira Naheed Khan hosted the ceremony, warmly welcomed the guest speaker, all faculty members and attendees at this event.